FAQs about NEW Coaching Program! 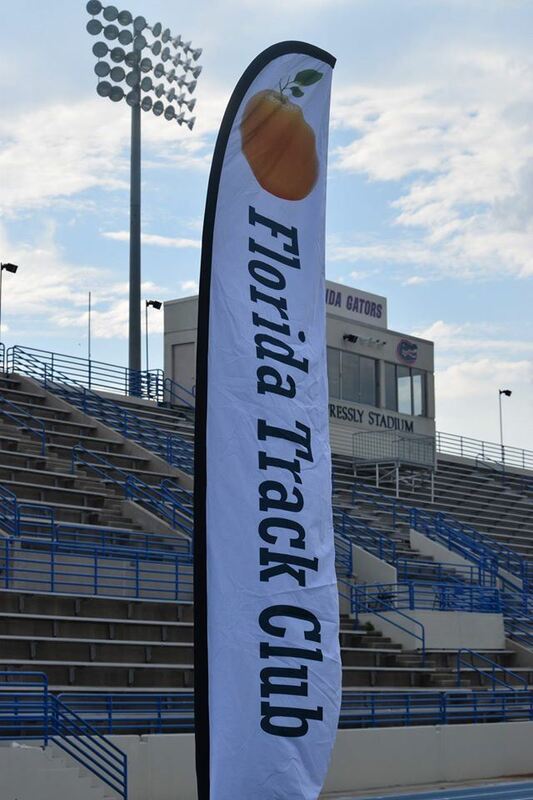 The Florida Track Club is very excited to bring our members and the entire Gainesville Running an excellent opportunity to train in a supportive group and qualified coaches! Any runner can sign up. All ages and abilities. Everyone is welcome. You do not need to be an FTC member (although this is HIGHLY encouraged!). This program is for the entire running community. The first practice will take place on August 7 (Sunday) and the final meeting will be at the Tom Walker Memorial Race Weekend on November 5th. Do I need to compete in either of the races to be coached? You do not need to race (although this is also strongly encouraged!). The beginner program will get you ready for the 5k, while a more advanced program will be tailored to get you ready to race the half-marathon. What is the cost and what does it cover? The cost for the program is $100. This is the same for both the 5k as well as the half-marathon program. The 5k program will also cover your entry fee to the Tom Walker 5k race. The $100 will provide you with 3 sessions of face- to-face high quality coaching each week for three months. It’s a great deal!!! How “beginner” is the 5k program? This program was designed by our partners at OSMI (Orthopedic and Sports Medicine Institute) to take folks who have either never run seriously before OR who are recovering from a lengthy/serious injury. The program starts with walking and builds to getting you ready to complete a 5k. The emphasis is on building strength, stamina, and speed in a healthy and progressive way. How “advanced” is the half-marathon program? This program will be tailored to your half-marathon goals. Both coaches are highly accomplished at both running and coaching runners at longer distances and can adapt training plans to fit your needs. What if I cannot make all the practices? You can choose your level of commitment to the program. Obviously, the more you show up, the greater the likelihood you will see results, but you certainly won’t be penalized for missing practices if conflicts arise. Unfortunately, we cannot pro-rate the program. There is one set fee. Can I come to a practice to see if the program seems like a good fit for me? Yes, you can try out the first practice! But first, fill out the sign up form and sign the release waiver for insurance purposes. Come to the first meeting on August 7th at 7:30AM and see how great it is to have a workout group and coaches! FTC Coaches Eddie and Enoch! The Florida Track Club is excited to announce that it has entered into a partnership with the University of Florida’s Orthopedics and Sports Medicine Institute (OSMI) to provide personalized coaching. 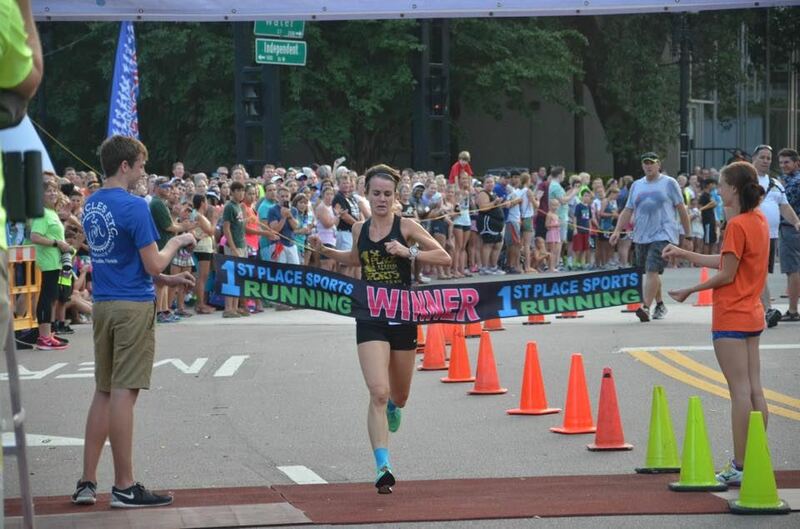 For the inaugural season a “Couch to 5k” and a Half Marathon program will be offered. The programs will both start on August 1st and run through November 5th. This year in conjunction with the training program we will be adding a 5k to the Tom Walker Half Marathon weekend. Participation in the 5k training program includes entry to the Tom Walker 5k (a $25 value). 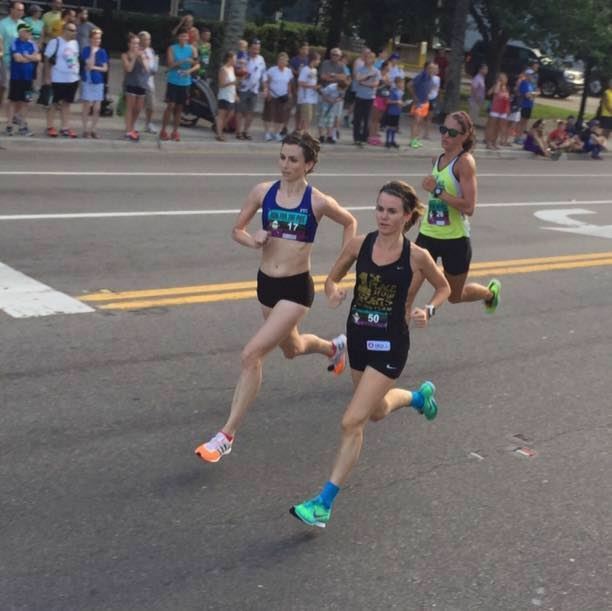 While the 5k program is primarily structured for beginning runners, the half marathon program will aid runners of all abilities in training for a fall half marathon. The Track club is bringing in two coaches to run the program: Eddie Garcia and Enoch Nadler. 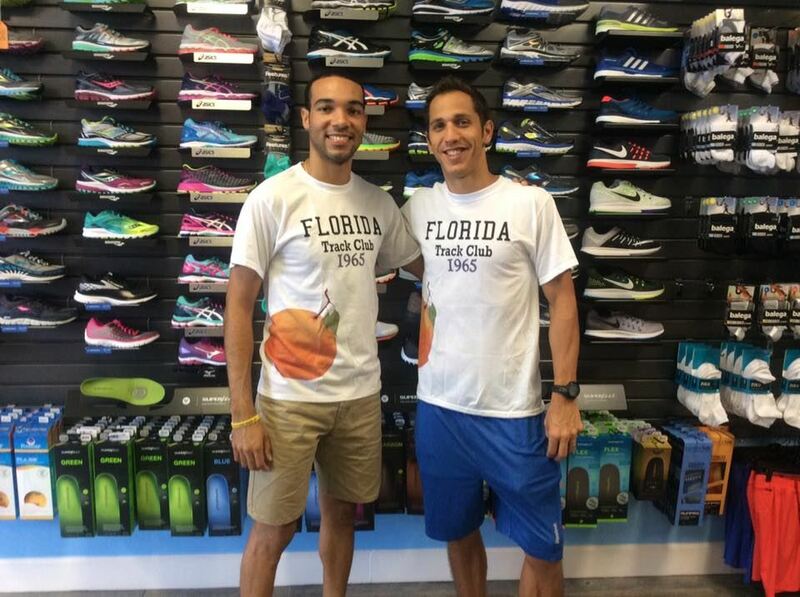 Enoch is a 2009 graduate of the University of Florida and was the UF Cross Country Team Captain. Enoch has coached a variety of age groups from middle school to adults. He qualified for the 2016 Olympic Trials and holds a PR of 1:03:55 in the Half Marathon. Enoch is looking forward to assisting runners reach their goals. Eddie won the SEC Conference title in the 10,000 Meter with a time of 29:49.92 in 2015. Hailing from Jacksonville, Florida Eddie stumbled upon running and found his passion. With a successful collegiate career behind him Eddie has volunteered with Youth Combine, and now hopes to help a variety of runners reach their goals. Thank you to all who participated in the 38th Annual Melon Run! *Runners!!!! It may seem obvious, but without such great a running community, we couldn't put on such high quality races! *City of Gainesville for granting us the permits and the folks at Westside Park and the Spurgeon Pool staff for open up their facilities for us to use. *The Melon Run race Committee and the Board of Directors of the Florida Track Club, especially Race Director Mike Carrillo, FTC President Elizabeth Hanselman, Kathy Benton, Matt Carrillo, Richard Garand, Anne Elise Creamer, for all of their help organizing the event as well as volunteering on race morning. *Jonathan Rembert and Start2Finish Race Management for his timing services as well as The Rembert Family for use of their large function room at Rembert Farms which housed our 200 watermelons in a cool space prior to the race. Also Ken Rembert, owner of The Bagel Bakery for their donation of bagels for post race refreshment. *Heather Martin for designing another beautiful race tshirt! (She also created last years' Melon Run as well as Tom Walker Half-Marathon, and our 50th Anniversary tshirts). *Martin Costello and Stephanie McGrail for being our lead bicycles. *Our race photographer for her beautiful photos of runners: Cathy Bester. *National Anthem soloist Ericka Brockish. *Spectators! Thanks to our family and friends for your support! Link to sign up for the Melon Run! Chop up the watermelon and sweet onion into bite-sized pieces. Halve the cherry tomatoes and red grapes. All all fruits and veggies into a large serving bowl. Chill until party time. Whisk together the olive oil and balsamic vinegar in a small bowl. Right before serving, drizzle the dressing over the salad, sprinkle with bleu cheese and garnish with basil. Enjoy and see you at the Melon Run! 38TH MELON RUN JULY 4TH 2016! Be sure to check your email for the June newsletter! Lots of info and exciting events/programs coming up for the club! Next Meeting! May 2nd: Kelsey Beckmann: Race Day Nutrition! Please join us in welcoming our May guest speaker, elite runner and dietitian Kelsey Beckmann as she presents on the topic of "Race Day Nutrition"
* began running competitively 4 years ago, current PRs: 59:46 (10 miles), 1:16:33 (half-marathon), 2:52:32 (marathon)! See you Monday at 7:30PM! New Location! Hilton UF Conference Center (Magnolia Room) 1714 SW 34th St, Gainesville, FL 32607. Free and open to the public - bring a friend/running buddy! Refreshments will be served! Come early for a good seat! After the recent death of FTC member Steve Detweiler, the cardiac arrest deaths of a local young high school athlete 5 years ago, a young UF athlete & ROTC cadet in November, as well as the testimony of FTC member John Davis about his remarkable and fortunate experience with his heart attack, it is clear that even athletes in excellent condition can be victims of cardiac arrest. It would be great for all of us to know what to do when someone near us is in trouble so that we can help make sure that person could have the best possible chance of survival. Cost is $10.00 per person, cash or check made out to Gator CPR. We can take the first 25 people who sign up, we will do another class in October if there is demand for it. A light snack and beverages will be provided. This is a non-certification course that will give members the knowledge and practice time performing CPR and using an AED device to gain confidence in being able to respond quickly and effectively in case a running buddy or another adult or a child collapses or is choking in our proximity.